Finished The Handmaid's Tale? Here's our list of the best books to read next. "Freedom, like everything else, is relative". If you're anything like us, you've were obsessed with the TV adaptation of Margaret Atwood's feminist classic The Handmaid's Tale, and are eagerly awaiting the arrival of season three! Set in a radically altered version of the USA, it's the story of Offred, a 'Handmaid' whose only purpose in society is to breed - and the second series promises to be just as compelling as the first. Here's our list of the best books to help you fill the void once you've finished watching The Handmaid's Tale and you're eagerly anticipating season three. A second American Civil War, a devastating plague, and one girl and her family caught deep in the middle. In his debut novel Omar El Akkad asks: what might happen if America were to turn its most devastating policies and deadly weapons upon itself? 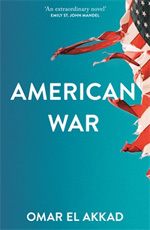 American War is available to buy in hardback and e-book now. 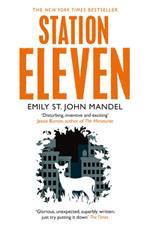 In this portrayal of a dystopian future that is frighteningly real - just like The Handmaid's Tale, Emily St John Mandel asks: If civilisation was lost, what would you do to preserve it? Set on a snowy evening in Toronto, a night in which a deadly plague erupts and wipes out 99% of the population, and the North America that is left behind, Station Eleven is the story of a world changed forever, and the fragile hope that remains in the people that are left behind. In the midst of a mysterious environmental crisis, London is submerged below flood waters and a woman gives birth to her first child, Z. 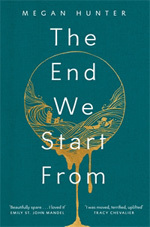 The End We Start From is a touching story of new motherhood in a terrifying setting: a familiar world made dangerous and unstable, its people forced to become refugees. 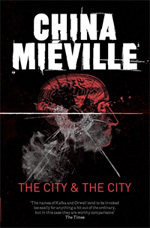 When the body of a murdered woman is found in the extraordinary, decaying city of Beszel, somewhere at the edge of Europe, it looks like a routine case for Inspector Tyador Borlú of the Extreme Crime Squad. 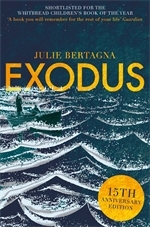 But all is not what it seems, and soon his work puts him and those he cares for in danger as he travels to the only city on Earth as strange as his own, across a border like no other. 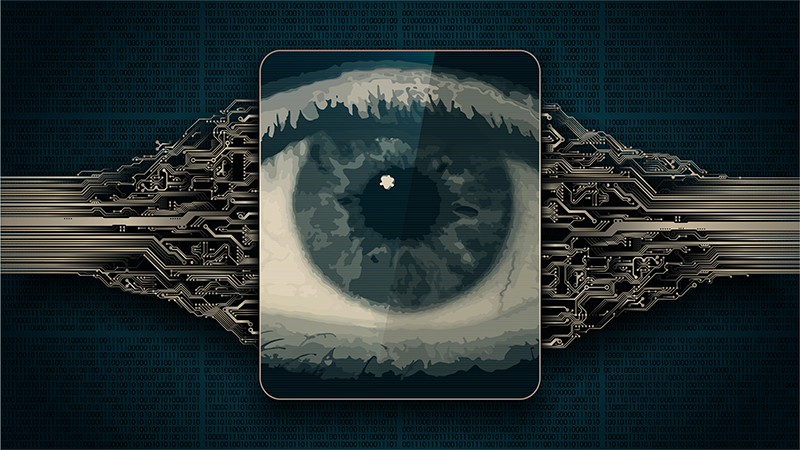 This in an addictive thriller, set in an unrecognisable world. Suddenly, all over the world, teenage girls discover that they have electricity in their fingers, and that with it they can inflict agonising pain, and even death. 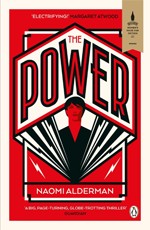 This Atwood-endorsed novel by Naomi Alderman flips the world on its head and asks the question: What if the power was in women's hands instead? Welcome to the Matriarchy - a place as different from Gilead as you can get. 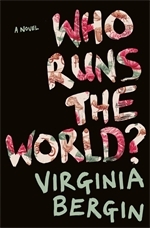 Sixty years after a virus has wiped out almost all the men on the planet, the female population has grieved, pulled together and moved on, and life is pretty good - if you're a girl. For boys, it's not so great though- as they're extinct. Until Mason turns up that is. 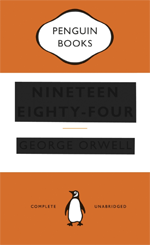 Set in a totalitarian land of perpetual war and constant contradiction, George Orwell's classic thriller is as important and compelling now as it was when it was first published in 1949. Another masterpiece from Margaret Atwood, this time based on a true story. 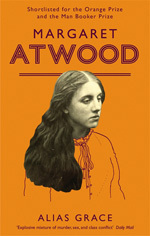 Through the life of convicted murderess Grace Marks, Atwood explores the experience of being a woman in 19th century Canada in her own inimitable style. Alias Grace is also the next Margaret Atwood book being adapted for TV, with the series premiering on Netflix on 2nd November 2017. Watch the trailer for the tv adaptation of Alias Grace here. 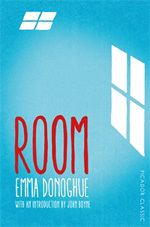 A novel of love, the choices we make, and what it means to be human. 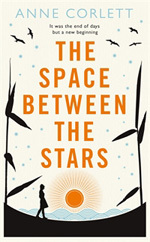 The Space Between the Stars is also a dramatic road-trip, as a woman journeys through a plague-ravaged universe to the place she once called home, in search of the man she once loved. Jack lives with his Ma in Room. Room has a single locked door and a skylight, and it measures ten feet by ten feet. Jack loves watching TV but he knows that nothing he sees on the screen is truly real - only him, Ma and the things in Room. Until the day Ma admits there is a world outside, that Jack has never seen. It is 2099 - and the world is drowning. For fifteen-year-old Mara the new century brings flight when packed into a tiny boat, she begins a terrifying journey to a bizarre city built on the drowned remains of the ancient city of Glasgow. Here, Mara realises she's an asylum-seeker in a world torn between high-tech wizardry and the most primitive injustice. To save her people, Mara must not only find a way into the city, but also search for a new land and a new home. Women are no longer born, they are designed. In a world where women only exist for the pleasure of men, the first duty of every girl is to be beautiful. If you aren't, you face life as a concubine or a teacher of endless generations of future girls. 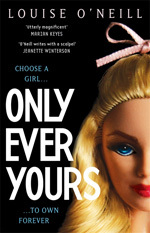 Louise O'Neill's contemporary YA novel explores our beauty obsessed society through a terrifying lens. Watch our episode of #BookBreak for even more recommendations for books to read once you've finished The Handmaid's Tale.